It was a trip to the Guinness factory in Dublin that spurred Sam Preston’s dream of starting a brewery of his own. Twenty years and three kids later, Sam and his wife Amanda joined forces with relatives Tim and Peta-Maree Sproule and Kempsey’s Bucket Brewery was born in 2015. 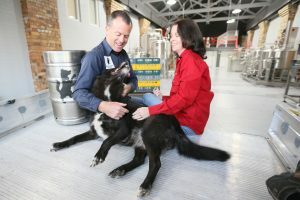 Named after Sam and Amanda’s trusty dog, Bucket Brewery currently produces three beers: a lager, ‘pail’ ale and the award-winning black beer (Sam’s crowning brewing achievement; ‘sure to convert the fussiest non-black drinker to the dark side!’). Sam has always been a keen home brewer, infusing brother-in-law Tim with his passion three years ago. When the guys decided to get serious about a commercial venture, Sam did a formal course in brewing, giving him the confidence to spread his wings. 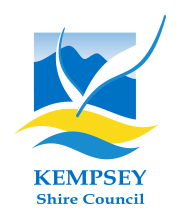 Both couples are Kempsey born and bred and share a passion for creating a brewery the town can be proud of. This year, brewing operations will expand to a larger site in South Kempsey – giving Sam and Tim the opportunity to grow production. Whilst maintaining it’s ‘local’s first’ values, Bucket Brewery’s black beer has been gaining an interstate following, popping up in bars on the Gold Coast and Armidale. The Bucket team are keen to keep up with the demand.